“A sleeveless dress never looked so good.” That’s how Instyle Magazine, an online magazine on fashion updates, described First Lady Michelle Obama who together with her husband hosted Prime Minister Lee Hsien Loong and his wife Ho Ching to a state dinner at the White House. 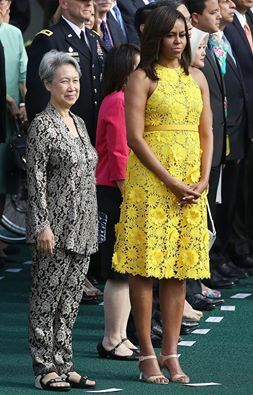 Netizens were quick to point out the difference in dressing between Obama’s wife and Hsien Loong’s. The netizen was referring to another recent official meeting which Madam Ho Ching attended with her husband, in Malaysia, to sign the High Speed Rail project agreement. 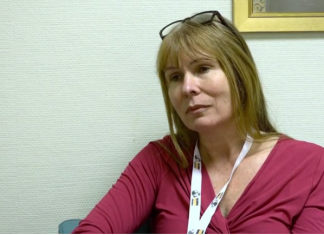 Others like aesthetics doctor and Save our Street Dogs founder, Dr Siew Tuck Wah thought that the fashion magazine was kind to only celebrate Michelle’s get-up, and keep silent about Ho Ching. “We need to get a stylist for her please,” he added.